With the earth being over 70% water, getting an underwater adventure is essential. 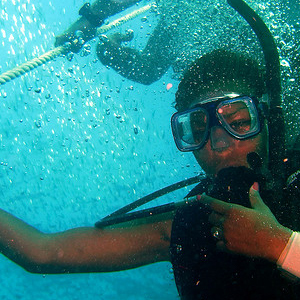 To fully relish the amazing wildlife and views underwater, scuba diving is ideal. As you read this article, you'll learn more about Open Water diver courses and all they have to offer. 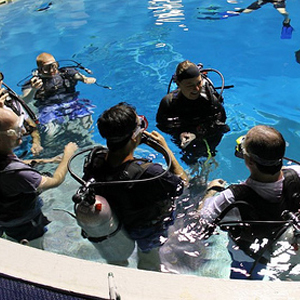 The Open Water diver courses are designed for anyone 10 years and older. Whether you're an experienced swimmer or diver or have minimal water experience, you can rest assured you'll gain a substantial amount of diving knowledge in a comfortable environment. You'll begin reading a few, basic chapters before your first class in preparation. While this tremendous load of new information can seem difficult to retain, you'll see that during your first pool experience, you'll be using this newly acquired knowledge without even realizing it. 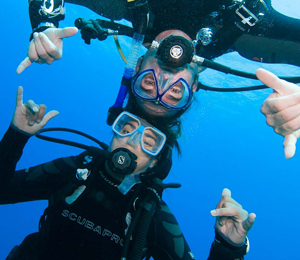 Your dive instructor will be very experienced and able to help you immensely during the classroom sessions, pool sessions, lake sessions, and finally, in the ocean. Your classroom sessions will generally take place in our shop and will primarily involve looking over the pre-assigned chapters, going over the information and quizzes, and eliminating confusion with detailed answers to questions or concerns. You'll also be introduced to the air tanks, your first and second stage devices, the dive computers, underwater communication, and so on, building off the information you read in the book. You'll learn how the tanks operate, what to avoid for safety and efficiency, and more. There are usually two pool sessions where you'll put your knowledge to the test as you set up your gear: your mask, snorkel, fins, tank, BCD, regulator, gauge, and so on. Once your instructor has helped with or approved your gear, you'll swim some laps in the pool and focus on using your fins correctly. More importantly, you'll be getting accustomed to breathing underwater. Other learned aspects of the pool sessions while underwater include: equalizing your ears, flooding and clearing your mask, removing your mask and putting it back on, using your regulator including the first stage and second stage, and more. 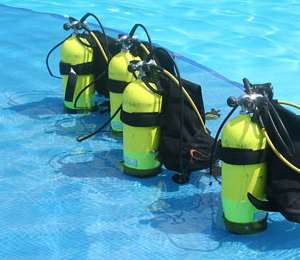 You'll also be placed in a scenario where your dive buddy has run out of air and requires the use of your second stage, preparing you for any dangerous experiences you may face underwater. Next comes open water diving, which is a step up from the pool and will offer prep for your final dives before certification. Finally, you'll showcase what you've learned in the ocean as your final test. Where to Dive One of the best places to get certified and dive is Key West, Florida. Key West Diving offers some of the most beautiful visions of marine life in the country. Here, you can enjoy wreck dives and encounter some of the largest sea turtles and fish you've ever seen, ensuring you'll receive the diving trip of a lifetime while using your skills.